The 4-person chairlift climbs from the edge of the village of Zuoz up to the heights, gliding silently past the Hotel Castell to the base of the second chairlift. This in turn heads for a higher goal, bringing passengers to the top of Zuoz’s local mountain, the Pizzet (2,465m/8,087ft). During the ride, as your altitude increases, so does your level of excitement: beneath you stretch wide pistes sparkling in the sunlight, and beyond, the whole valley – more impressive still from a bird’s-eye view. A mix of slopes, snow park and cross-country trails. Snow-Deal: booking early is worth it! 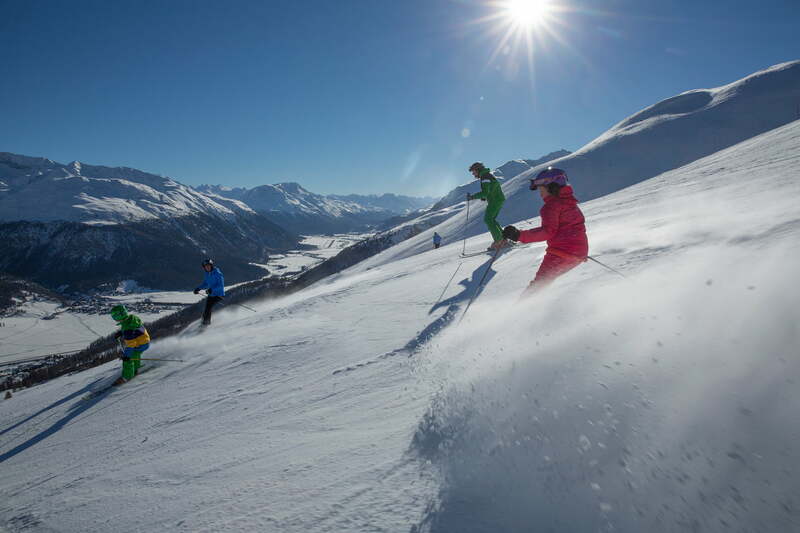 All the ski schools in the Engadin St. Moritz region at a glance. The ski pass for the whole family.